Home Composting	Turning Morning Glories into Fertilizer! A couple weeks ago, I stumbled across a YouTube video from David The Good called Totally Insane Compost Tea Recipe that got me to thinking. I had read about this idea a few years ago in Sepp Holzer’s Permaculture, and kind of filed it away as something to try later. We’ve had a big morning glory problem in our gardens this year, with all of the late rain and hot/humid conditions, and I needed a way to dispose of it. I had been yanking it up, and hanging the carcasses on the fences to dry out, or chucking it into the driveway where it hopefully will not re-root. Morning glory is one of those weeds I consider noxious, even if the USDA doesn’t agree with me. 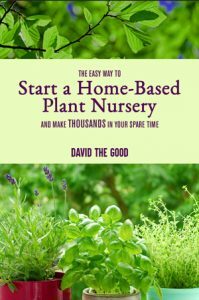 Once it gets started, it will take over quickly, and strangle plants and bushes. If you pull it out, and don’t get every little teeny-tiny bit of the root, it comes back with a vengeance; kind of like horseradish. And if you let it go to seed; well you just don’t want to do that. It’s not something you can really “chop-and-drop” either, I’ve had plants re-root themselves and grow back after pulling it up. Now unlike horseradish, I don’t know of too many redeeming qualities for morning glory. I don’t think it’s really edible, the flowers are nice- but very short-lived, it does provide a living cover- but it tends to kill whatever it covers, the vines really aren’t good for doing anything with- unlike wild grapevines. What on earth was it created for??? 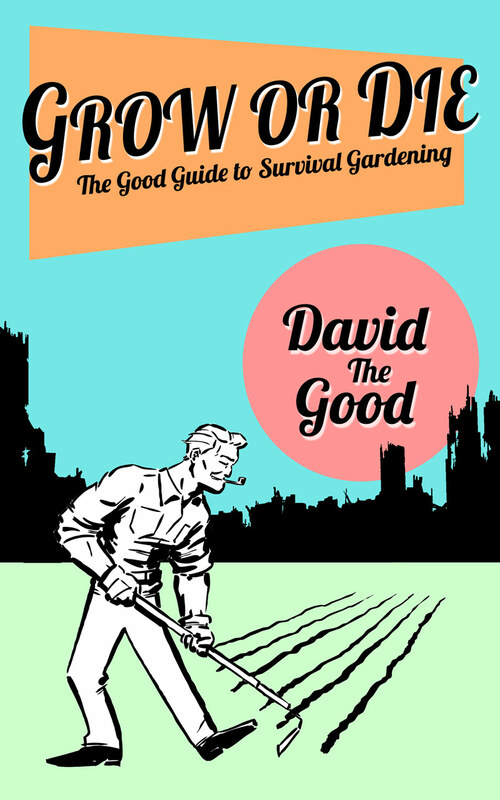 Well thank you David The Good for showing me a way to use morning glory, and reminding me about the benefits of compost tea. 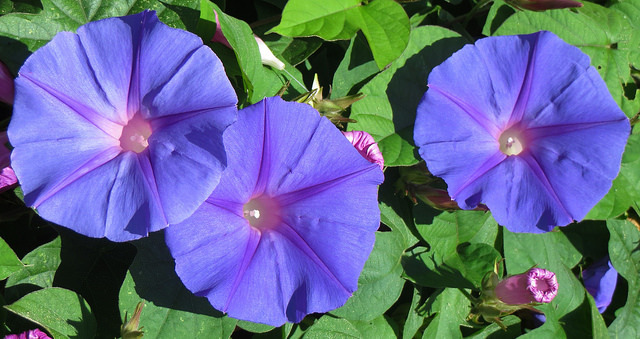 Turns out The Creator actually had a purpose in mind for this noxious weed we call morning glory. An unused, shady corner of our big garden had become an absolute massive jungle of morning glory. Impossible to even walk thru. I scared up a barrel, and started working on cleaning up this corner. Why the barrel? Well, it’s one of the important parts of the compost tea; the other 2 parts – water, and weeds. I spent several mornings pulling morning glory vines, and stuffing them down into the barrel. I put a lid on the barrel to keep the mosquitoes out. After filling the barrel, and packing it down, I had nearly 100 pounds of morning glory vines in a 40 gallon barrel! I said we had a morning glory problem. I filled the barrel up to overflowing with water, and let it work for a few days. Oh, and if you watch the video all the way to the end, there’s that secret ingredient that I added as well. I love experiments like these. Thank you, Matt, for sharing your composting madness. 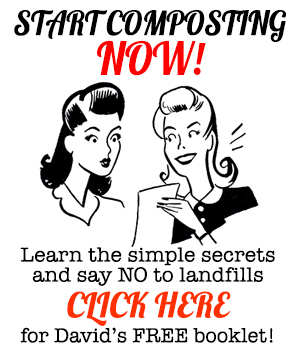 You can learn plenty more about crazy composting in my book Compost Everything: The Good Guide to Extreme Composting. *Photo at top by Lisa Ann Yount. Public domain license. do you sell cassava cuttings and if so when and how much thank you s.d. Morning glories are way better than horseradish. 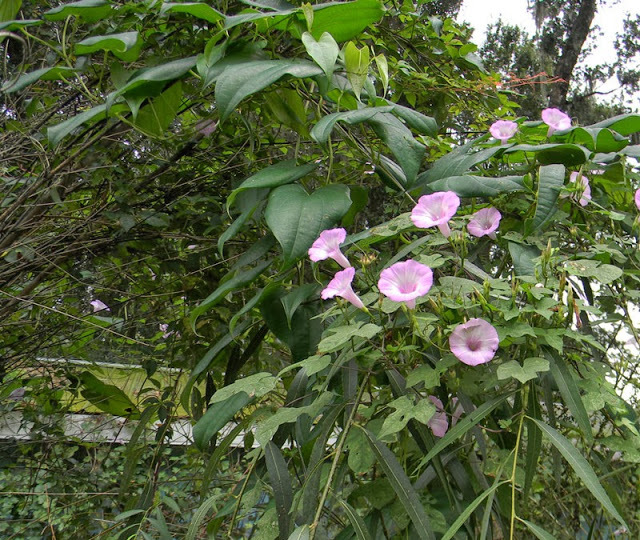 As for letting it go to seed, morning glory seeds contain natural hallucinogenic drugs. I ate the seeds once for science. I felt a little weird but there were no effects… except that it gave the mailman a halo. Is your nursary open to the public and if so where are you located? I have sold my nursery and left the country, so unfortunately, no!